Special Programming at Andrew Jackson's Plantation Home Thursday, March 15th will be Highlighted by Discounted Admission, Children's Activities and Keynote address from Tennessee Governor Bill Haslam. 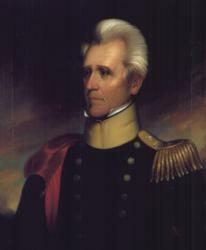 On Thursday, March 15, 2012 The Hermitage, Home of President Andrew Jackson is proud to celebrate the 245th birthday of President Andrew Jackson. Admission is HALF PRICE all day from 9:00 a.m. to 4:30 p.m. The ceremony will begin at 10:00 a.m. with the traditional wreath-laying ceremony at Jackson’s tomb. The Honorable Bill Haslam, Governor of the State of Tennessee, will serve as keynote speaker. A military honor guard will place a wreath from the President of the United States on Andrew Jackson’s tomb in honor of his service to the nation. In addition, Andrew Jackson, VI, the three times great grandson of President Jackson, will make comments and sign autographs for kids later in the afternoon. Immediately following the ceremony, there will be birthday cake for visitors while supplies last. The celebration will also feature children’s activities which will include Survivor: The War of 1812 game in our Education Building. For this activity, children will play the part of an important figure of the war and visit stations to make decisions based on circumstances the actual historical figure would have encountered. Costumed living historians will be on site as well to conduct military demonstrations throughout the day. These activities will complement the on-site wagon tours and audio tours for adults and children. At 2:00 p.m., historian Tom Kanon from the Tennessee State Library & Archives, will present a talk entitled “Tennessee and the Declaration of the War of 1812” in the Andrew Jackson Center. Morning comments and Mr. Kanon’s lecture will underscore the theme of this year’s birthday event that focuses on the Bicentennial of the War of 1812 as well as complements a series of events taking place in Nashville this spring to begin the commemoration of the Bicentennial of the War of 1812. The Tennessee State Museum will feature a new exhibit, “Becoming the Volunteer State: Tennessee in the War of 1812” and on Saturday, March 17th a free symposium “Tennessee, The Atlantic World, and the War of 1812” will be held at the Nashville Public Library. Featuring presentations and discussion from leading scholars on the War of 1812, the event is free and open to the public; however, attendees do need to register by emailing info@tennesseehistory.org. These events are sponsored by The Center for Historic Preservation at Middle Tennessee State University, the Tennessee Historical Society, the Tennessee State Museum, and Special Collections at the Nashville Public Library. When you visit The Hermitage on Thursday, March 15th, make sure to pick up a program of events outlining the activities and special ceremonies at the site celebrating Jackson’s birthday. Programs will be available at the Andrew Jackson Visitor Center prior to viewing the orientation film, exhibit gallery and museum. The Hermitage, Home of President Andrew Jackson, is one of the largest and most visited presidential homes in the United States. In 1856, the State of Tennessee purchased the property from the Jackson family, entrusting it to the Ladies’ Hermitage Association in 1889 to operate as one of America’s first historic site museums. Today, The Hermitage is a 1,120-acre National Historic Landmark with over 30 historic buildings, including restored slave cabins. Thanks to efforts of this nonprofit organization, the mansion is the most accurately preserved early presidential home in the country. The Hermitage is a national model for authenticity, conservation, and historic preservation. In recent years, new interpretive initiatives and educational programs such as archaeology and the history of slavery have enhanced the experience of some 180,000 annual visitors, including 30,000 schoolchildren, from all 50 states and many foreign countries; in fact, we interpret the Hermitage mansion in five foreign languages. The property also receives 30,000 annual visits from the local community, including over 1,000 children who play Little League baseball at The Hermitage's Rotary Park. The Hermitage is a “Partner Place” with the National Trust for Historic Preservation; and a site along the National Park Service’s Trail of Tears National Historic Trail. 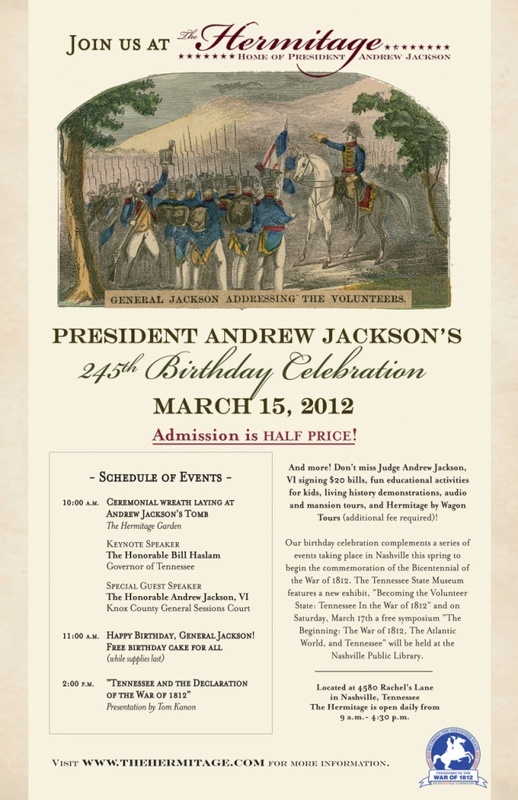 Join us for President Jackson's 245th Birthday!